How should you be training Judo, BJJ or Wrestling when you’re over 50? You’re no spring chicken anymore and can’t be doing the same acrobatic manoeuvres that you were doing in your 20’s. Judo Olympian Matt D’Aquino talks about this and why you should be careful with your body. Matt D’Aquino is a multiple Australian and Oceania Champion and a 2008 Beijing Judo Olympian. He has been studying Judo for over 23 years. He is a 3rd Degree Black belt and a brown belt in BJJ. 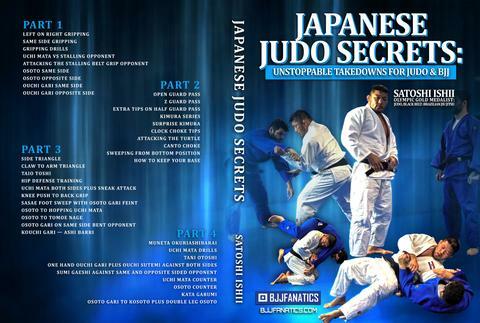 Matt has also come out with great new DVD sets for BJJ players: Judo for BJJ and Standing to Ground Transitions. Make sure you have plenty of recovery between workouts. Recovery means after training eat protein rich, carbohydrate rich meal so your body is actually getting the fuel it needs to recover itself after training. Have plenty of sleep. If you don’t have much sleep, your body’s going to find it harder to recover so just sleep really well, eat really well. If you have a niggling injury then take it easier training. I see people that have sore shoulders and they get on the mat and do randori, I’m like dude you have a sore shoulder like take it easy with your body. You know judo and jujitsu is a long-term game it’s not a it’s a marathon not a sprint. You want to do it forever not for a short amount of time so if if you are injured either go to training and tell your coach “hey man, I’ve got a sore knee can I just do technique and skip out randori and your coach should be okay with that. you’re probably gonna have to skip that. You can’t do that much randori and if you’ve been doing judo a long time you probably can do that much randori but if you can’t, you just have to be smart with your training. Maybe do one round off out of three rounds but don’t beat yourself into the ground with your training. Be smart with your training! Learn The Old-School Dojo Techniques of An Olympic Champion And Throw With More Confidence Than Ever. Learn how to throw with confidence and dominate on the mat with all the modern judo secrets, with Olympic gold medalist and BJJ black belt Satoshi Ishii.